I was attracted to this book for two reasons. It was an earlier publication from baking super-power Dan Lepard, and I'd heard about Baker and Spice when researching bakeries in London. Dan Lepard's name is synonymous with baking perfection. I must have read over ten reviews of his new book, Short and Sweet in the last couple of months. I also flocked to buy the book on release, like all the other excited baking folk. This guy knows his stuff. He is no celebrity charlatan. He has worked at some of the finest establishments, including St John in London, which currently resides at 41 in the San Pellegrino 'Best Restaurants in the World'. I've eaten there and the desserts are to die for! Aside from his book, he is probably best best known for his column in the Guardian Weekend. Baker and Spice's ethos is to sell goods which are home made - from scratch. They've been doing this since 1995, so were real trailblazers when it comes to resurrecting the art of baking on the high-street. So, I had a good read through this book. I'm a baker with a passion, so I was hoping we'd be well suited! It reminds me of a school textbook (which incidentally, we never had in Food Technology...) but is filled with mouth watering pictures too. It covers all the classic baking disciplines; including cakes, meringues, scones, biscuits, cookies and pastries. I made their Honey and Spice Cake. It's light as fluff itself and so unbelievably moist. The batter is very runny, and the cake didn't rise a massive amount, but I had used that wide tin. All I'm bothered about at this point is the taste. The work guinea pigs were well impressed with this one. I also have a sneaking suspicion that if it was left for a few days it might just go all sticky like a good gingerbread. Alas, mine didn't last that long! This can only confirm it was a belting cake. 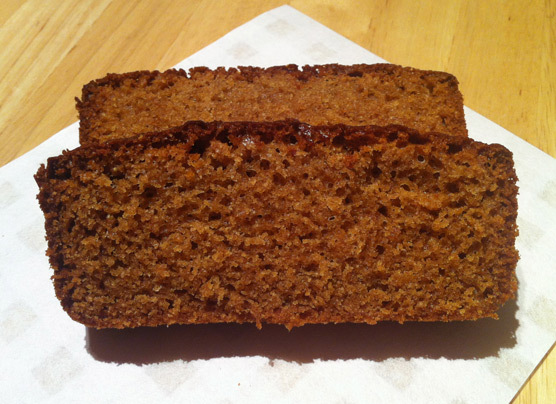 It was a nice alternative to parkin or gingerbread, and had a warm honey taste followed by a cinnamon kick. Buy this book if you like a robust cake, pastry or loaf that is packed with flavour. You'e not going to find any Jane Asher-eque cakes in here. 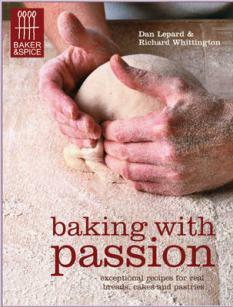 Disclaimer: I reviewed this book because I am a baker and have passion dammit! I received no payment from the publisher for doing so. Read more about the authors at Quadrille.